On 23 January, new rules will apply for foreign investors’ access to the Saudi Arabia’s capital markets. The Saudi regulator – Capital Market Authority – issued a new set of guidelines on 9 January, designing the requirements for qualified foreign investors (QFIs), their affiliates, foreign portfolio managers and their managed funds, and expand the range of qualified institutional investors eligible. Amendments include, among others, the lowering of the assets under management or custody requirement for QFIs from $1bn to $500m as well as the qualification of QFIs’ affiliates or foreign portfolio managers and their managed funds without the need to submit separate applications. Another easing could be found in the Saudi market investment limitations. Each QFI, may not own 10% or more of the shares of any issuer whose shares are listed or convertible debt instrument of the issuer. The Saudi CMA also states that the maximum proportion of the shares of any issuer whose shares are listed or convertible debt instrument of the issuer that may be owned by all foreign investors, whether residents or non-residents, in aggregate is 49%. 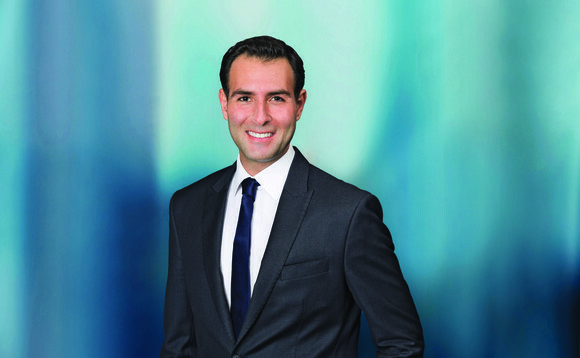 Speaking to InvestmentEurope, Bassel Khatoun (pictured), chief investment officer, MENA Equities at Franklin Local Asset Management, says that the new regulations announced by the Saudi Capital Markets Authority (CMA) and the Tadawul (the Saudi stock exchange) is a timely and welcome development that improves Saudi Arabia’s market infrastructure and, as a consequence, its chances of key Emerging Market index inclusion this year. “We are supportive of the continuous efforts to upgrade the market’s infrastructure in order to bring it in-line with international standards. The rapid development of Saudi’s capital markets over the last two years is consistent with the wider objectives of the Saudi Vision 2030 and, in our view, addresses all of the outstanding issues related to index inclusion,” explains Khatoun. According to him, CMA’s measures will loosen the QFI registration criteria and processes. Khatoun says that by easing the minimum AUM cap and experience criteria, the scope of potential QFIs will broaden. “Further reductions to the $500m minimum AUM criteria have not been ruled out. Moreover, we expect the simplified application process to significantly reduce the registration time for investors.” says Khatoun. “In a synchronised move, the Tadawul also announced further enhancements to the market operating model by updating the Independent Custody Model in order to provide more flexibility in trading limits for investors while also mitigating credit risk associated with the settlement process for all participants. “The introduction of a new order management mechanism now provides investors the option to aggregate orders across multiple funds, thereby reducing the potential for price discrimination across clients. Finally, the changes to the closing auction mechanism will make it easier for benchmark trackers to guarantee closing price and we are optimistic that the proposed market making programme, despite being light on detail, will enhance liquidity in the future,” Franklin Local Asset Management’s chief investment officer for MENA equities pursues. FTSE and MSCI will announce its decision on whether to include Saudi as an EM country, respectively next March and June. In Khatoun’s view, the outcome is likely to be determined by how well the improved QFI framework and operating models are functioning and whether investors have had sufficient time to test these changes. “Inclusion into both of these indices in 2018 remains our base case, a move that would trigger significant liquidity flows into Saudi and the region more broadly,” he tells InvestmentEurope. A lot is at stake for Saudi Arabia with this possible inclusion, Khatoun outlines, highlighting that the benefits of inclusion in MSCI’s EM Index are substantial. “With approximately $2trn in active and passively managed money tracking it, MSCI continues to be a key dictator of equity flows. On current standings, we believe that Saudi Arabia could account for around 2.5% of the MSCI EM Index, with the possibility of Saudi’s weighting effectively doubling to 5% with the planned initial public offering of Saudi Aramco,” Khatoun analyses. “A potential 5% weighting for Saudi in the MSCI EM Index, may result in flows of around $100bn assuming a benchmark weight, or $50bn in equity flows excluding Saudi Aramco’s IPO. By comparison, MENA’s aggregate net inflows in 2017 came in at USD2.1bn of which Saudi saw total net inflows of only USD185m. “We would expect some of this flow of fresh capital to trickle through to surrounding stock markets. And while there’s no doubting the significance of MSCI’s decision, a potential upgrade to secondary EM status in March 2018 by FTSE would also be an important milestone for the Saudi market,” Khatoun estimates. Saudi Arabia unveiled plans to sell 5% of its national oil and gas company Aramco, valued by the Saudi government at $2trn. Meaning the equivalent to two thirds of the cumulative market capitalisation of all of the companies listed on the London stock exchange and a pricing of Aramco at more than double of Apple’s value, as noted by Kinan Khadam Al-Jame, head of Investments and Portfolio Management at Swiss group Reyl. “If the sale is carried out, it could represent the heaviest market cap ever, once it reaches approximately $100bn and would also provide an insight into the operational structure of one of the most closed and secretive companies in the world,” summarises Khadam Al-Jame in its January 2018 market insight note. Reyl’s head of Investments and Portfolio Management explains that the real reason for the move deals with the kingdom needs to trim its budget deficit by $83bn (i.e. more than 10% of its 2016 gross domestic product). Also Khadam Al-Jame sees a number of pitfalls for Aramco’s IPO including its complex corporate structure, its extent of oil reserves as well as its announced valuation based on partial data excluding annual group sales and earnings. In addition he believes the IPO should concern the entire company, including oil production and the downstream refining business and chemical processing. “Regardless of the quantity of oil & gas under its control, the market will consider the company’s earnings to be a more important factor than its assets and the level of earnings will depend on two factors, i.e. the oil price and tax cuts. Last March, a royal decree lowered the tax rate in the oil & gas sector. For Aramco, this measure reduced its tax rate from 85 to 50%, thus adding to its appeal,” Khadam Al-Jame says. New York and London stock exchanges are on track to welcome Aramco’s IPO, as well as Hong Kong to a certain extent. But it is likely to not be finalised before 2019 in Reyl’s investment chief view. “A Saudi Aramco deal may appear to be of an unreasonably enormous scale. However, it is perfectly feasible if the necessary information is made readily available to investors. Obtaining the optimum valuation for the kingdom’s flagship remains uncertain. “For Saudi Arabia, achieving this target may well come up against a major challenge, i.e. the authorities’ willingness to share the kingdom’s national oil activities with the inquisitive and sometimes critical wider world,” argues Khadam Al-Jame. For the chief investment officer MENA Equities of Franklin Local Asset Management, Saudi’s potential upgrade to EM status could also trigger significant upside for stocks in the kingdom, and sooner than expected. He notes that based on the performance of 20 promotions to MSCI EM since 1994, the bulk of stock market gains occur well before implementation of MSCI changes. “Data shows that the median rally seen in share prices 24-months before MSCI EM implementation is 67%, while the median rally 12-months prior to implementation is 55%. Closer to home, the preceding 12-month period before the UAE and Qatar promotions saw stock markets surge 115% and 48% respectively,” Khatoun details. Khatoun also points out that Saudi Arabia’s potential inclusion in the EM indices could prove a transformative catalyst for not just the kingdom’s stock market, but also for exchanges throughout the entire MENA region. Developments seen in Saudi Arabia would eventually upgrade the status of the MENA region in the eyes of international investors and potentially inspire other countries of the area to pursue an inclusion in the MSCI EM index. That will go together with increased liquidity flows across the region. “In our view, it would also help eliminate a material disconnect between the GDP contribution of this region and its representation in MSCI EM, underscoring MENA’s transition from the peripheries of emerging market investment, to the mainstream,” concludes Khatoun.